Final Fantasy VII was my first Final Fantasy game (though VI reigns supreme as my actual favorite), and I imagine this was true for a lot of other gamers. The successful launch of the Playstation console and the release of the first 3-D Final Fantasy game would undoubtedly draw an impressive crowd of gamers new and old. It quickly became a fan favorite. Aww, yeah, you know you were excited when you were a kid and this baby came out! It has also been played and talked about to death. Not that there is anything wrong with that, of course. It is a good game. I have enjoyed several runs through the game, and I always try to look for something I hadn’t quite noticed the previous times. I played with my favorite characters; I played with the characters I’d neglected (that basically means you, Cait Sith). I collected… everything. I beat all of the Weapons, although Emerald gave me a rather troublesome time, and I was too proud to cheat or look up clues on how to beat him. I mastered all of the Materia. I raised a Gold Chocobo. You were the bane of my eleven year old existence… until puberty happened. And then I started reading scholarly articles about the game. Not just VII, but all of the games. 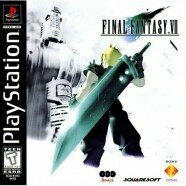 Then I thought… why can’t I write about Final Fantasy VII? I’ve effectively become a master of the game simply by the fact that I’ve been playing it over a decade. So why not apply this fancy new Master’s degree in Literature and write something interesting and thought-provoking for the Final Fantasy VII fans? 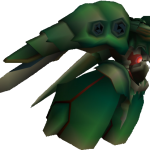 But the question remained… what would I write about for Final Fantasy VII? If I’d played it to death, if people have been writing about it for goodness knows how long, what would I be able to contribute? The question hung thick in the air, stagnating for months. By Fall of 2012, I had been working on an Independent Study for developing teaching techniques and syllabi/class plans incorporating gaming and edutainment (Note: I will return to writing about teaching with games in another post—especially since I am going to a seminar at GenCon about it!!). I chose Shakespeare and Lovecraft as two areas I wanted to focus on and plan how I would teach them. Shakespeare? Yeah, I’ve got that. I didn’t need to reread much Shakespeare because I was also doing my Advanced Project on Twelfth Night, gender roles/sexuality/cross-dressing (with Ouran High School Host Club manga—trust me, it made sense) and I’ve read Shakespeare every year since freshman year in high school. Shakespeare was familiar territory. Back to topic. Lovecraft. So I started reading Lovecraft. A LOT of Lovecraft. I also read some of the stuff that shaped Lovecraft– the man dug Edgar Allen Poe and Robert Chambers. To be perfectly honest, I dig Chambers’ The King in Yellow collection of short stories too (Oh, this is another thing I will post about in relation to LARPing– namely, the Bedlam Carcosa LARP and other Elder Entertainment creations). I found Lovecraft: A Study in the Fantastic by Maurice Levy (translated by S. T. Joshi) to help me understand Lovecraft with greater depth. As I was reading, I started coming up with ideas for that question that had been looming over me. …but I have so much more in store. Get ready to delve into the depths, folks.